Campers will get to learn about music and rock out in our air conditioned, sound treated, 3400 square foot facility. Kids have fun, meet new friends, learn & perform on our Main Stage! Truly a great experience for your child. Our students come for multiple weeks & return year after year! Each student will be introduced to guitar, bass, drums, keyboards, vocal instruction, on-stage movement & presentation, music genres and legendary artists. Students then choose an instrument to focus on and play for the week. Campers will be placed in bands based on age and ability. Camp attendees may have the opportunity to perform in a showcase at the end of camp. Camp attendees must be at least 5 years of age and be able to handle a full day. No prior music experience is necessary. Kids with prior music experience will have the opportunity to expand their knowledge, work on original music & try out other instruments. Many weeks sell out so reserve your spot early. 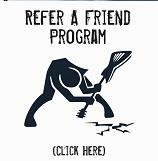 Refer your Friends & Family to our Rock-N-Roll Summer Camp NOW and save! Our regular Rock & Roll Day Camps are fun and educational however this is an intensive workshop for advanced musicians only. For one week each month during the summer BMA offers our Music Intensive Advanced Camp Workshop. Students will be expected to meet the requirements and handle the advanced curriculum by professional musicians. This program offers selected students a week long interactive experience focusing on all aspects of music, this unique opportunity provides instruction by industry professionals in an immersive creative environment in our professional facility. The program offers intensive studies in: Songwriting, Music Theory, Solo & Group Performance, Promotion and Music Business. Attendence is by audition only. Call to schedule your audition today. Please "SHARE" our Camps page with your friends.